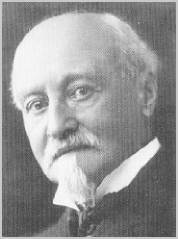 Octave Chanute - this Chicago engineer was the 'elder statesman' of aeronautical experiments in 1900. His glider experiments at Miller Beach in 1896 produced the most influential and significant glider of the pre-Wright era. These pages contain a comprehensive description of Octave Chanute's experiments along the south end of Lake Michigan between 1896 and 1898. The essay "Wings Off the Dunes" provides the story. There are writings and images of the flights in Chanute's own words in his Diary and in an address he gave in October of 1897. There is a general overview of the gliders used in the experiments and special pages on the individual gliders which attracted the attention of the press. There is an extensive reproduction of those newspaper articles. Also on these pages is an extended bibliography on Chanute, maps, a page on replicas that have been build and are on display as well as a page for those who might want to build their own replica glider. 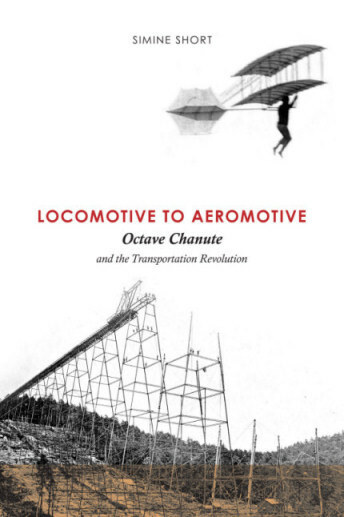 2011 saw the first comprehensive and long needed biography of Octave Chanute. Simine Short's exhaustively researched biography of this 19th century bridge and railroad builder is superb. His contributions to the history of aeornautics has also been long overlooked. You can read more about her biography here, and/or buy the book. A picture of that glider, along with other replicas on display around the world, is at this website's replica page. Of special interest: If you have further interest in the invention of the airplane, Gary Bradshaw is building a very ambitious site devoted to that subject. The site features a gallery of pre-Wright brothers inventors and experimenters, as well as a digital library of Wright photographs from the Library of Congress. "To Fly is Everything.." is the 'front page' of this web site and has a number of Chanute's writings, including Progress in Flying Machines that was published in 1894. A good deal of the material on these Chanute Pages dovetail with the history of the invention of the airplane. To provide links between the Chanute Pages and "To Fly is Everything..." you may encounter the icon which is a link to relevant material in Gary's pages. At 'To Fly is Everything..." is the Chanute-Wright correspondence from 1900 to 1910 which is vital to understanding the relationship between Chanute and the Wright brothers. That correspondence is also a primary source of descriptions of the Wright brothers experiments and eventual success. See the Replicas page for links to a number of aviation museums which have replicas of Chanute gliders. Octave Chanute was enshrined in the National Aviation Hall of Fame in 1963. And, of course, there is a Wikipedia article on Chanute. 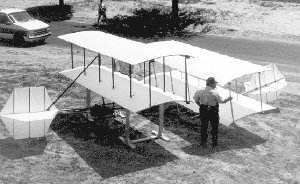 Visit FiddlersGreen.net where you can register and download a paper template to build a Chanute Glider!